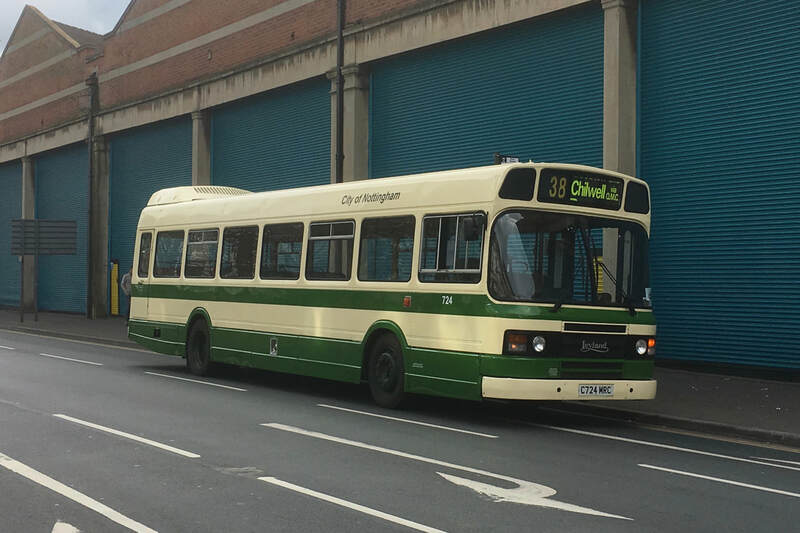 Delivered in 1985 to Nottingham City Transport as part of a batch of 10 similar vehicles, 724 was supplied with a 52 seat single door layout. It is a National 2, the main difference between this and 728, which is a National 1, is that the radiator has been moved from the rear of the bus to the front, to improve engine cooling. It is fitted with Leyland’s Hydracyclic gearbox, which was a fully automatic gearbox, to make the driver’s job easier, and reduce wear of the transmission caused by drivers abusing the semi-automatic system. A semi automatic bus has no clutch, but requires the driver to select each gear, leading to excessive wear and even failure if a driver rushes the changes. The Hydracyclic system makes the changes automatically, based on road speed and throttle positon, and also cuts the throttle when changing, leading to the hiss as the throttle air is dumped with each gear change. When the Hydracyclic system was new, electronics were not as sophisticated as they are now, leading to many operators modifying the buses back to semi-automatic. 724 is unusual in still having its original transmission. 724 entered service with NCT in September 1985, and was used on a variety of NCT routes. It was also repainted into a unique cream and blue stripe livery when used on South Notts services, following NCTs takeover of that company in 1991. In 1996 724’s seating capacity was reduced when a luggage rack was fitted to the front of the passenger saloon. Towards the end of its time with NCT, 724 was used as a driver trainer, and finally left the company in 2002. It passed to Bellamy’s coaches, and then to Silverdale coaches following their takeover of Bellamys. It was acquired for preservation by Simon Lowings, and changed hands in 2010 and 2014, when considerable work was carried out on it. In 2016 it was acquired by its current owner, Alex Wright, who has placed the bus on loan to NHVC. It is our intention to acquire 724 when funds allow. It is also the last remaining Mk2 National of 24 bought by NCT. 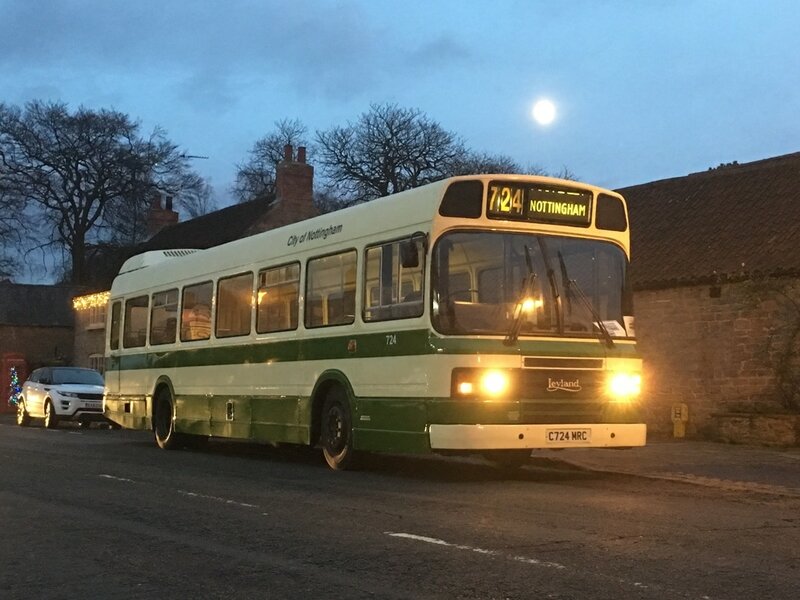 Numerically, 724 is also the penultimate Leyland National built, the last being C49 OCM supplied new to Halton.